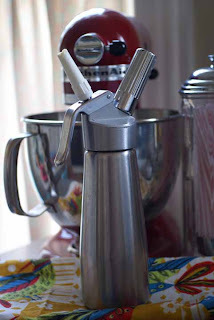 Another favorite tool is our cream whipper. You add fresh cream, sugar, and vanilla and it does all the work for you. You can also do mousse and other things, but we are so in love with the fresh whipped cream that we couldn't part with it long enough to try! Josh found this one for a steal on ebay. Go ahead! 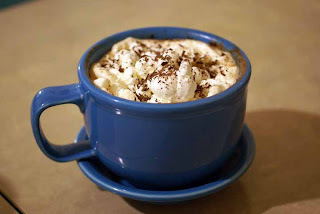 Have a cup of hot cocoa - winter is almost over! I just found your blog through S&S forum. It is so delightful and charmng! May I ask the name of the product you use for whipping cream? How would I look it up on Ebay? Thank you! Keri, thank you so much for getting back to me on my question. I appreciate your providing a link, I've got it on my Ebay watch list now. Thank you!